Bokèo (Laotian: ບໍ່ແກ້ວ [bɔ̄ː kɛ̂ːw]; literally "gem mine"; previously, Hua Khong, meaning "Head of the Mekong") is a northern province of Laos. It is the smallest and least populous province in the country. Bokeo Province covers an area of 6,196 square kilometres (2,392 sq mi). Bokeo Province borders Luang Namtha Province to the northeast, Oudomxai Province to the east, Xaignabouli Province to the south, and Thailand to the southwest and Burma to the west and northwest. 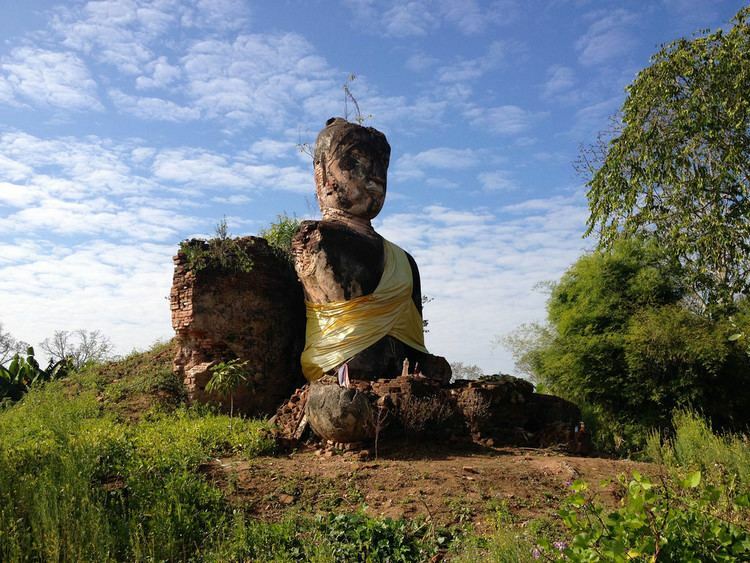 The province has five districts (Houay Xay, Tonpheung, Meung, Phaodom and Paktha) and is rich in deposits of precious and semiprecious stones. 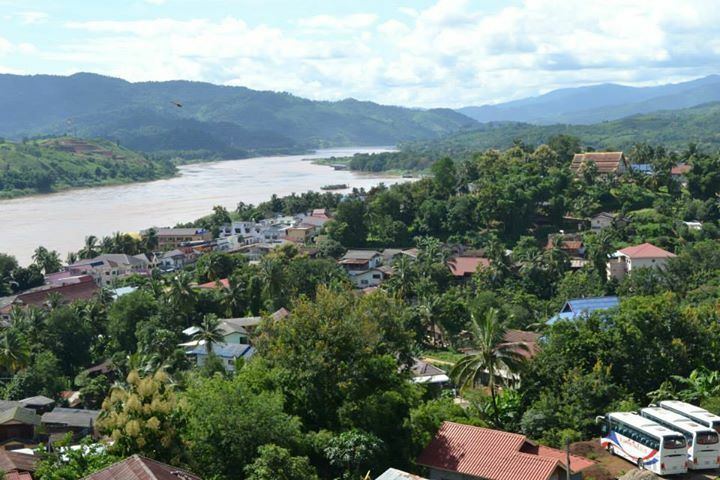 Bokeo's provincial capital is Houayxay on the Mekong river. The province is part of the “Golden Triangle”, at the crossing with Myanmar and Thailand. There are 34 ethnic groups in the province. Houay Xay is the border town with Thailand and regional economic centre. 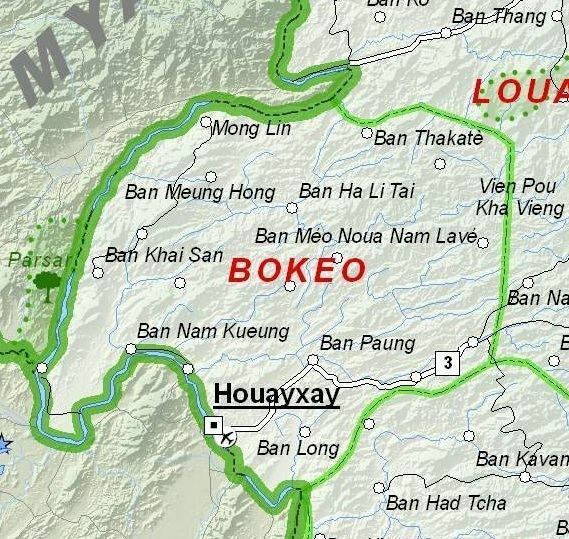 Bokeo ("gem mine") was named after the sapphires mined in Houay Xay District. A stele that is dated to 1458 is located within the Wat Jom Kao Manilat, a pagoda built in 1880 in teak wood in Shan architectural style. Fort Carnot is another historical monument of the French colonial period, which is now with the Lao army. Bokeo Province is the smallest of the country's provinces, covering an area of 6,196 square kilometres (2,392 sq mi). Bokeo Province borders Luang Namtha Province to the northeast, Oudomxai Province to the east, Xaignabouli Province to the south, and Thailand to the southwest and Burma to the west and northwest. Notable settlements include Houayxay, Mong Lin, Ban Thakate, Ban Meung Hong, Ban Ha Li Tai, Ban Khai San, Ban Nam Kueng, Ban Long and Ban Paung. The Nam Nga River flows through the province's Bokeo Nature Reserve, and is hemmed between the Mekong River bordering Thailand and Burma and is also along the trade route with China. Don Sao is an island in Tonpheung District, which is connected to the mainland except during the rainy season. The Bokeo Nature Reserve was created as protection for the black crested gibbon (also known as "black-cheeked gibbon"), discovered in 1997, previously thought to be extinct. Elephants and wild water buffalo migrate through the reserve; bears and tigers are also present. The protected area, is characterized by a mix-deciduous forest and mountainous terrain (elevation ranging between 500–1500 m). The total area covered by the reserve is 136,000 ha covering the 66,000 ha in Bokeo Province and 70,000 ha in Luang Namtha Province with where critically endangered species of western black crested gibbon (Nomascus concolor) as the prime species brought under protection. According to a preliminary survey the number of gibbons in Nam Kane is substantial, particularly in and around the uninhabited Nam Kan river and its tributaries. This project is being supported and implement by Animo by the French entrepreneur Jean Francois Reumaux as a Gibbon Experience Project. Gibbon Experience is a conservation project which came into existence after the indigenous black-cheeked gibbon was discovered. This experience is provided in the Bokeo Nature Reserve. The conservation programme has two components, one is of gibbon viewing huts, known as canopy huts (there are four such very large huts, well turned out with all facilities) in the vast forest reserve meant to view the black cheeked gibbons and the second component is to experience the beauty of the rain forests at the canopy level. Another experience is of the Waterfall Gibbon Experience which involves 3 hours of trekking to the location, deep in the reserve traversing along the Nam Nga River. Other than the gibbons the wildlife in the reserve reported are: great barbet (Megalaima virens); grey-headed parakeet (Psittacula finschii); grey leaf monkeys (Semnopithecus); crab-eating mongoose (Herpestes urva), tiger (Panthera tigris); smaller cats; dhole (Cuon alpinus), bears (two types); otters; sambar (Cervus unicolor); and wild cattle (gaur). The 10,980 hectare Upper Lao Mekong Important Bird Area (IBA) stretches across the provinces of Bokeo, Oudomxai, and Sainyabuli. It is located at an altitude of 300–400 metres (980–1,310 ft) above sea level. The topography features river channel, exposed beds, sandbars, sand and gravel bars, islands, rock outcrops, bushland, and braided streams. Confirmed avifauna include black-bellied tern (Sterna acuticauda), great cormorant (Phalacrocorax carbo), grey-headed lapwing (Vanellus cinereus), Jerdon's bush chat (Saxicola jerdoni), brown-throated martin (Riparia paludicola), river lapwing (Vanellus duvaucelii), small pratincole (Glareola lactea), and swan goose (Anser cygnoides). Its population was 179,300 in 2015,Template:Census in 36 townships, more than 400 villages. 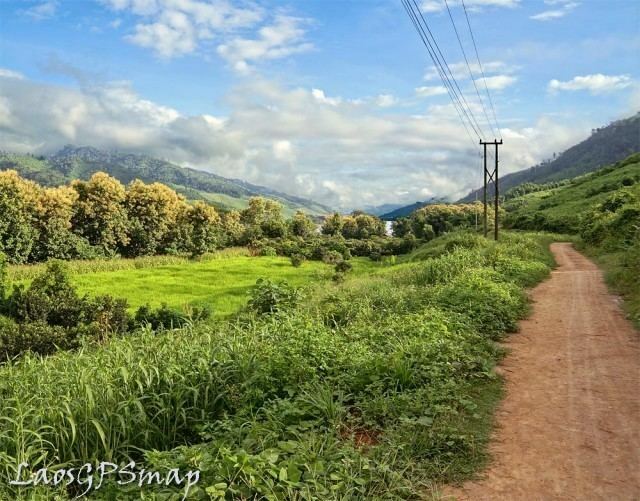 With 34 ethnic groups (including Akha, Hmong, Khamu, Kalom, Kui, Lamet, Lao Huay, Mien, Musoe, Ngo, Phai, Phu Thai, Phuan, Phuvan, Samtao, Shan, Tahoy, Thai Daeng, Thai Dam, Thai Khao, Thai Lu, Thai Nai, and Chinese), the province's ethnic diversity is ranked second in the country, after Luang Namtha Province. Most numerous though are the Lanten, Hmong, Lahu, Yao, Akha, and Tai Lue peoples. The Lahu, a Tibeto-Burman speaking people who are part of ethnic group of northern Myanmar and Thailand also inhabit this province in large numbers. The provincial economy is now dominated by the Golden Triangle Special Economic Zone (GT SEZ). The zone is midway (20.361150, 100.099807) between Houay Xay, the provincial capital, and Tachileik, Myanmar. In 2007, the Chinese-owned Kings Romans Group entered into a 99-year lease for 10,000 hectares on the banks of the Mekong. The company was granted 3,000 of these hectares as a duty-free zone, now the SEZ. As gambling is illegal in China, and the SEZ is only a two-hour journey by road from China, casinos and hotels catering to a Chinese clientele were built. As an unintended consequence, a robust industry involving trafficking in endangered animals has grown up around the Chinese tourist trade. Several restaurants in the SEZ serve exotic meats: tiger, pangolin, bear cub, and python. Menus openly include such fare as bear paw, monitor lizards, geckos, and snakes and turtles. Tiger bone wine is a frequent accompaniment. Shops in the SEZ sell animal parts, stuffed animals, and ivory, all in contravention of the CITES treaty to which Laos is a party.